Margaret brings over 30 years experience to Rockland Trust. As a Financial Consultant, she identifies needs within the municipal channel for long term investing including OPEB and trust/stabilization funds. Previously, she worked with Fidelity Investments as Senior Vice President for Fidelity Financial Advisor Solutions. Her responsibilities included relationship management and new business development with corporations, insurance companies, and the public sector and higher education institutions investing directly in short term liquidity products in the eastern United States. 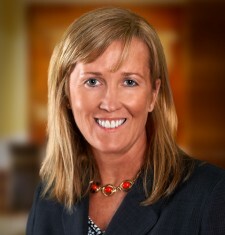 Prior to joining Fidelity, Margaret worked for the Boston Company as an Institutional Vice President in sales. She also worked for Scudder, Stevens & Clark for six years and relocated to San Francisco to establish their street level investment center. Margaret is also a board member for the New England Association of Financial Professionals (NEAFP) and the Ryan Harvey Foundation.